Gerber Pullon Plastic Pants – The classic plastic pants everyone is looking for but cannot find. The least expensive way to cover cloth diapers. Also used over training pants and over disposable diapers. 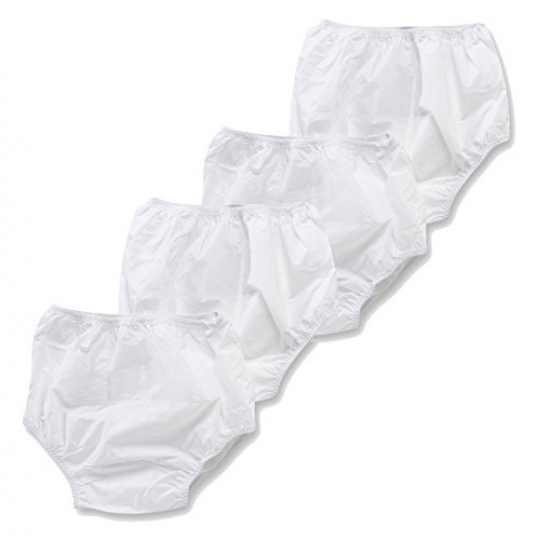 If your looking for an inexpensive substitute to diaper covers for your baby and are willing to diaper using diaper pins or plastic diaper fasteners, these plastic pants will do the job. Made of 100% Peva they are soft and flexible for babies comfort. The elastic in the legs and waist is covered by a soft and comfortable nylon.